Ayodele Maakheru is a Musician of New York. 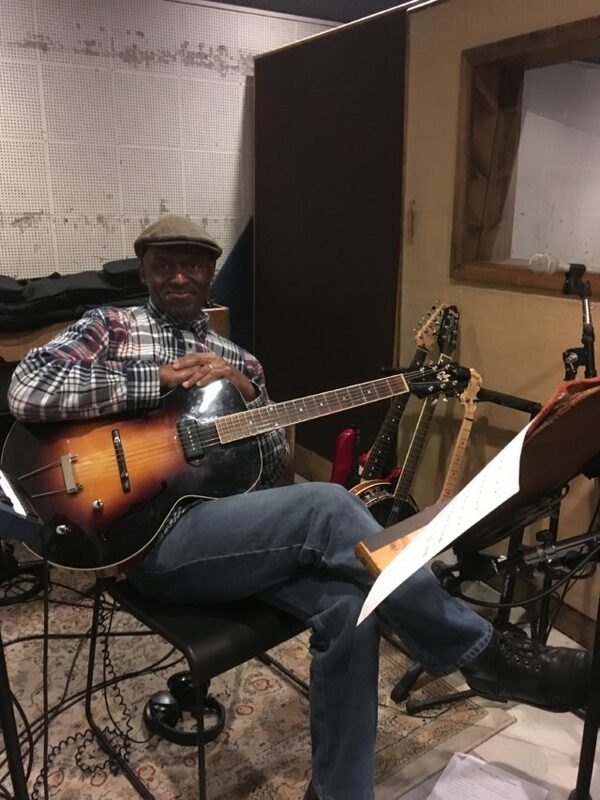 Over the course of his career, born-and-raised New Yorker Ayodele has recorded two original albums and worked in almost every corner of the NYC music world. His primary instrument is guitar, but while working in the pits he has picked up nearly every instrument in the strings family. In addition to juggling gigs, he teaches a lot, both privately and in the public schools. Like many other New Yorkers, he has passions that go beyond his work. A long-time athlete and coach in karate, marathon running, and gymnastics, Ayodele has retired from competition but still hits the gym every week to stay in shape. View this post on: Instagram and Facebook! #MusiciansofNY tells the stories of the working union musicians of New York, with posts about a new musician every Wednesday! Find more Musicians of New York stories here.